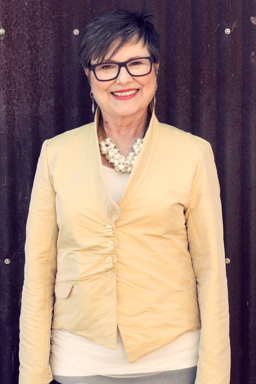 Brenda is the owner of Inside Out—A Style and Wardrobe Consulting Company based in the San Francisco Bay Area where she has been matching people’s clothes to their personalities, passions and lifestyles for over thirty years. A best selling author on fashion and style, her book titles have been translated in other languages and enjoyed internationally. Her tips and expertise have been featured in magazines such as In Style, Real Simple and Tara, Sweden’s leading magazine for women over 40. Brenda has appeared nationally on radio and television, most notably on The Oprah Winfrey Show and on NPR. She makes a weekly appearance on the syndicated radio show, The Richard Stevens Show. Brenda is a sought after speaker who has given presentations across the United States. Smart, funny, and inspirational, Brenda champions a woman’s right to express herself beautifully at any size, age or income level. With her upbeat style and up-to-the-minute fashion savvy, she brings to audiences the professionalism and experience of an expert with the warmth and wisdom of the mother we wish we all had. She has presented programs at women’s events and organizations as well as exclusive boutiques and large retail stores including Nordstrom and Macy’s. A past president of the San Francisco Bay Area Chapter of AICI (Association of Image Consultants International), Brenda was honored in 2000 with the organization’s prestigious “IMMIE Award” (Image Makers Merit of Industry Excellence) for her achievements in the image industry. Click here to complete the contact form on the website. To schedule a consultation or a speaking engagement with Brenda, call 707.996.6345.